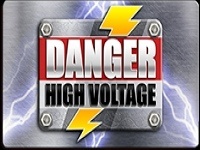 Play these Flash or HTML5 based online slot machine games provided by Big Time Gaming at Top Free Slots. No download required to play the games - just click on the image and wait for the game to be loaded in your browser window. You can play all these Big Time Gaming Slots for free or try your luck for real money at sponsored online casinos. You can play classic slots or 5 reel video slots with multiple lines of payout, exciting bonus features, and wild and scatter symbols to increase your winning potential. rr When it comes to playing games based on the South American temples and jungles, most online slots fans have sufficient experience. 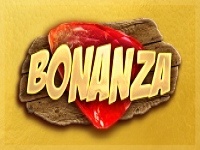 So when you play Temple Quest free slot, you realize that it is a new Big Time Gaming release..
Bonanza is a unique 6-reel, bejeweled style slot game with free spins and a bunch of bonus features, plus incredible 117,649 Ways to win on each spin! The cart on top of the game's screen adds symbols to the reels its.. This is a 40 payline slot machine developed by Big Time Gaming. 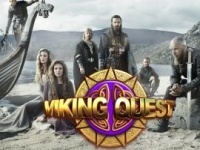 rr Viking Quest slot machine game, coming from Big Time Gaming, is a chance for some big time winning. Even when judging by its name, it..
GOLD is a 20 payline slot machine game created by Big Time Gaming. Slots's main theme: Gold. This is a new 20 payline online slot machine from Big Time Gaming. Faeries Fortune is a 40 payline slot machine developed by Big Time Gaming. rr Playtech will take you to the enchanted forest of leprechauns and pixies. The play starts with a fairy appearing in her magical world.. This is a 20 payline slot machine game created by Big Time Gaming. 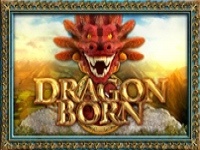 Slots's main theme: Dragons. 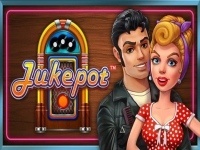 Jukepot is a 20 payline online slot machine from Big Time Gaming. Game's theme: Jackpot. This is a 20 payline slot machine developed by Big Time Gaming. Slots's main theme: Ancient Greece. Lucky Streak is a 20 payline slot machine game created by Big Time Gaming. rr The free online Lucky Streak slot game is an old school classic by Big Time Gaming with a lot of fruits (cherries, lemons, grapes.. This is a 20 payline online slot machine from Big Time Gaming. Star Quest is a 20 payline slot machine developed by Big Time Gaming. Slots's main theme: Stars, Space. This is a 20 payline slot machine game created by Big Time Gaming. rr If you love Indiana Jones, you have probably been imagining yourself on journeys full of untold riches and endless excitement. If that..
rr Not many games out there provide a comfortable and well-known environment for ornithologists and in general bird lovers, and because of that, Big Time Gaming has decided to release Feathered Frenzy slot machine game.. This is a 20 payline slot machine developed by Big Time Gaming. rr The Vegas Dreams slot game doesn't have a large span of bets; you can bet maximum 5 coins perÂ payline. The number of lines is a..